For the fourth year in a row, the Riviera Maya Film Festival is bringing glamour to this tropical paradise. The Riviera Maya Film Festival has attracted big Hollywood celebrities in the past such as Ethan Hawke (2012), Patricia Arquette and Christian Slater (2013), and Maggie Gyllenhaal and Peter Sarsgaard (2014). This year is sure to be no different, attracting some famous celebrities. And of course they come to promote their new film but let’s face it they also come for the gorgeous beaches and beautiful weather. The Riviera Maya is the place to see and be seen. Not only do celebrities love to vacation here but multiple stars call the Riviera Maya their home. Buying palatial beachfront estates up and down the coast. Now you too can live like a movie star in these luxury, blinged out properties in Playa del Carmen. 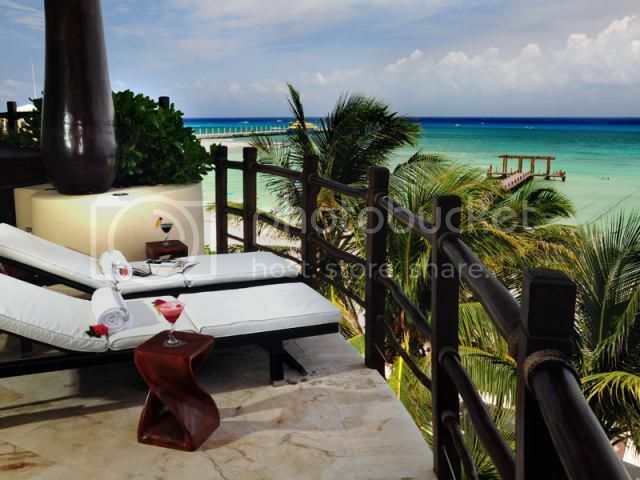 Casa Callaway is located in the exclusive gated community of Playacar 1. 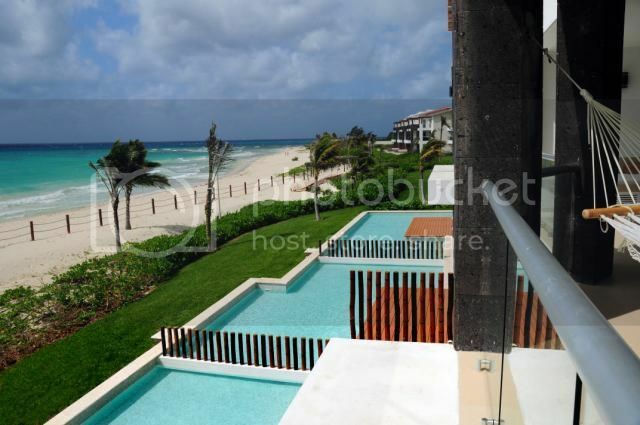 This luxury beachfront real estate property is priced at $2,000,000 USD. Casa Callaway features four spacious bedrooms each with unforgettable views of the mesmerizing Caribbean Sea. Casa Calloway has marble floors, granite countertops and super luxurious finishes, the property comes beautifully furnished. The layout, sliding doors, huge terrace and pool allow for an amazing party space. Casa Callaway, stunning Views and excellent location! The Mareazul beachfront property is located in the gates residential golf community of Grand Coral in north Playa del Carmen. The four bedroom condo has uninterrupted views to the Caribbean Sea. The condos start at $1,478,500 USD. These elegant oceanfront condos feature many luxury amenities where you can pamper yourself and live like a movie star. Some of the amenities include a large infinity style pool, Zen Gardens, fitness center, business center, concierge, his and her spa, Price golf course, Club House and Beach Club. Relax in style at Mareazul! El Taj has a creative design using soft architectural curves it maximizes the ocean view from every angle in the development. This three bedroom beachfront penthouse at El Taj features wide open spaces with gorgeous views of the Caribbean Sea. The condo has top of the line appliances, and luxury fixtures and finishes throughout. Amenities include a spectacular oceanfront swimming pool with a waterfall and a Beach Club. You can own this piece of luxury for $1,300,000 USD. Live the life of luxury at El Taj. Beautiful movie stars, white sandy beaches and gorgeous weather… who wouldn’t want to live here! If these palatial estates are a little to “Movie Star” out of your price range, Playa del Carmen has many reasonably priced luxury condos and homes. It is always fun to day dream about what we can’t have but the reality is Playa del Carmen is very affordable. Playa del Carmen not just a dream! Now if you have any questions about the Riviera Maya Film Festival or any of the Top Mexico Real Estate properties we have listed in Playa Del Carmen, the Riviera Maya or anywhere throughout Mexico, please feel free to contact any of our Top Buyers’ Representatives and we will be glad to help you find your very own piece of paradise.